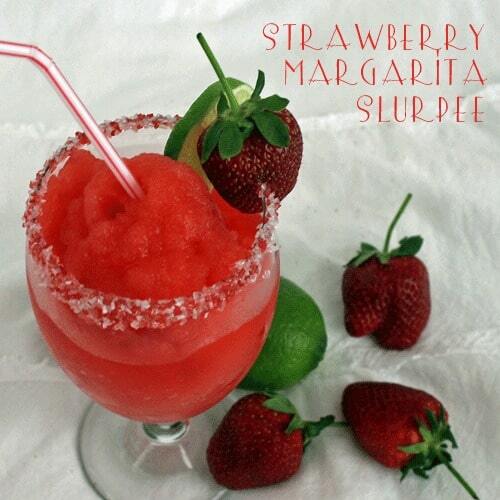 Strawberry Margarita Slurpees - Chocolate Chocolate and More! I have to tell you, I don’t do Cinco de Mayo. Not that I don’t love great food and fun drinks, it’s just not a big holiday in rural Georgia. Now that doesn’t mean that when my bloggy friends want to have a party, I’m not all in. I actually wanted to make a cake but after 2 attempts, I still wasn’t happy with the flavor. I’ll keep working on it, I know when I finally get it right it’ll be fantastic. So Last summer, we spotted this slurpee recipe from Mandy’s Recipe Box and my son fell in love with it. For weeks, he was making slurpees every day. Every flavor, every brand, he never made a bad slurpee. Then one day it stopped. I think because school started back up. And you know the attention span of teenagers, out of sight, out of mind. Unless it’s the new coolest game on X-Box. We had the club soda, so why not? Prepare glasses. Using your finger or a small paint brush just for food, bush corn syrup along rim of glass. Dip Glasses in sprinkles and set aside. Add club soda and pulse just to combine. Pour into prepared glasses. For adults only, top with a shot of tequila. Garnish with fruit and enjoy. These were great without the alcohol but even better with a shot of tequila, sitting on the back deck on a Friday afternoon. The perfect way to start off the weekend. Now it wouldn’t be a party without some friends. Just look at all the amazing treats! 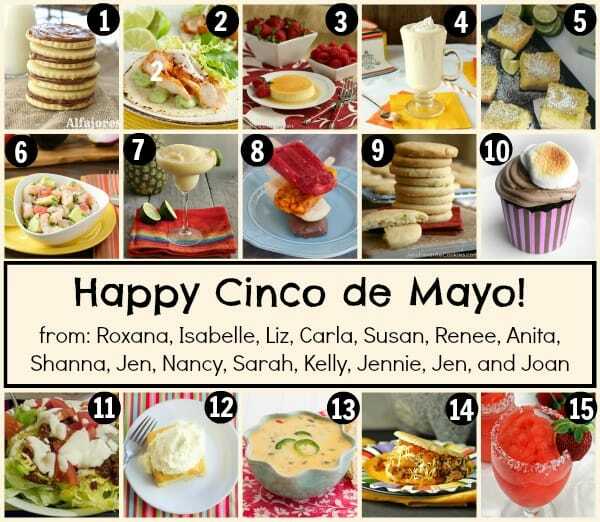 So even if you’re like me and don’t celebrate Cinco de Mayo, find a reason to have a party anyway! We don’t celebrate Cinco De Mayo either, apparently rural-ish Missouri isn’t all that festive either. LOL I’m okay with that especially if I can some of these wonderful “slurpees”. What I love is that everyone in the entire family can enjoy them, and they can be modified for the adults. So smart. Great recipe! You made them SO pretty! Thanks Nicole, The kids just love when we add the sprinkles on the glasses, makes any drink a party drink! When I was a kid it was the biggest treat to go get a slurpee. I haven’t had one in years. Now I see this and I’m craving one again. Nice! Now this is what I call a porch drink! Sitting outside, feet up, dog running around and this lovely drink…adult version, please :)…in my hand. Aahh. These slurpees are making me wish it were summertime and I had a porch to sip them on!! I know Kelly, I was thinking it would have been great to be at the beach having one of these! Yup, this would be my drink of choice at any Cinco de Mayo party! 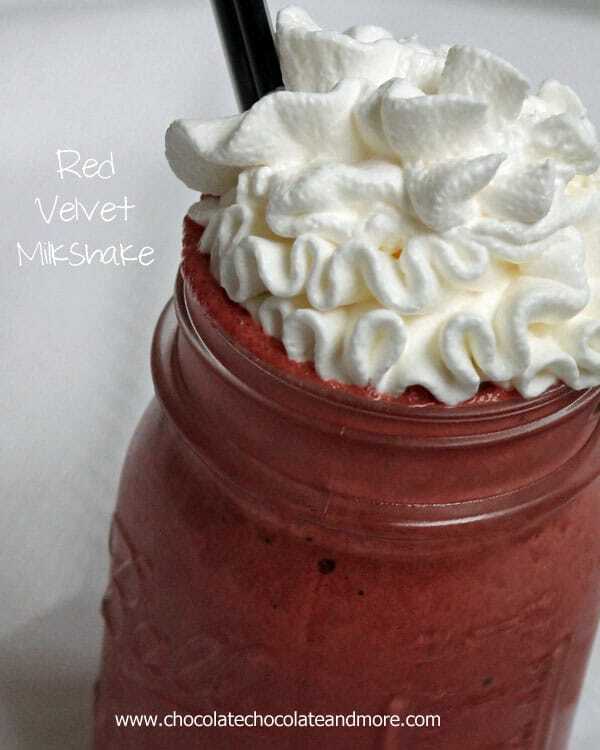 Gorgeous AND delicious cocktail!!! Thank God I’m over 21 and can have tequila in my strawberry margarita slurpee! This looks so good, Joan – I’m smacking my lips in thirst over here. 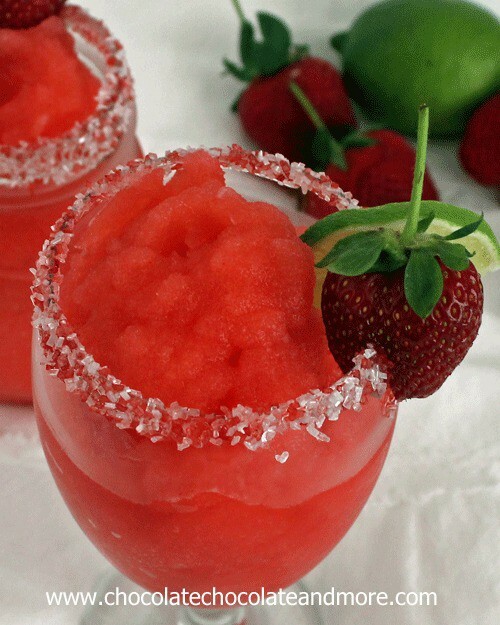 I love the sugar rimmed cups and the strawberry tucked into the rim. Thanks Nancy, I love adding sprinkles and sugar to the rims of drinks, just makes it seem like a party! Oh yes, I would slurp(ee) this right up. Yes Jenny, it is Friday, get out that blender! If I come over can you have one standing by? With the tequila of course! Come on over Susan, we’ll make up a batch together! Yummy! Slurpee anything is good, and margaritas! I’m not the biggest fan of alcoholic drinks especially tequila, so I love these slurpees! Joan, this looks delicious! Perfect for a summer day. 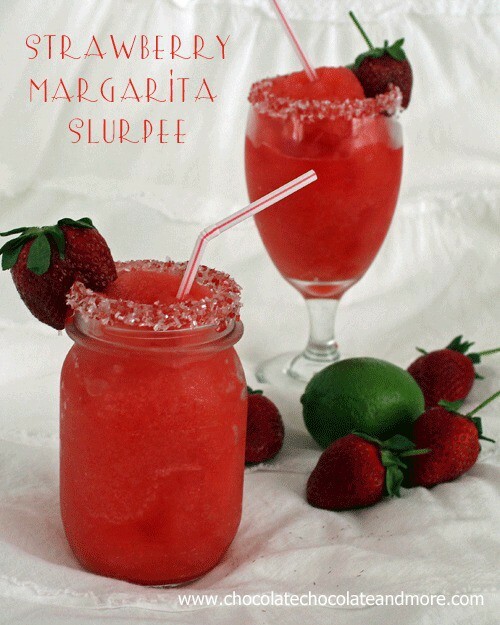 I usually slurp my margaritas, anyhow :o) so this is perfect!! Stopping by from Marvelous Mondays! Okay woman this looks like a two fister to me. I love anything strawberry. Squee right back at you! I can’t wait, we’ll have to make sure we have some time for a fruity drink, even if it’s at breakfast, together! Sounds delish! 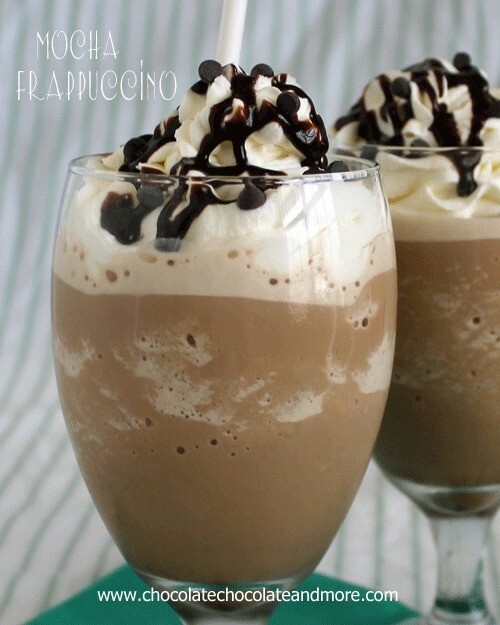 Perfect for a summer afternoon on the porch! Love the color. FABULOUS drink…can’t wait to try this!!! Lovely photos too!!! 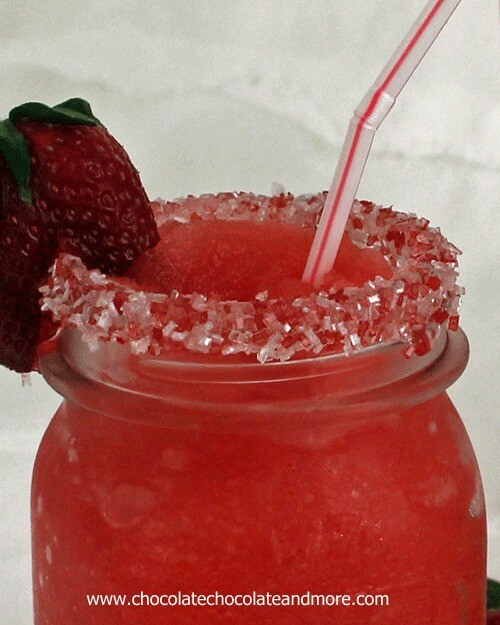 Your sugar on the glasses is so festive, I bet these were really good and another great use of strawberries. Thanks Suzanne, adding the sprinkles to the glasses always makes it more of a party! 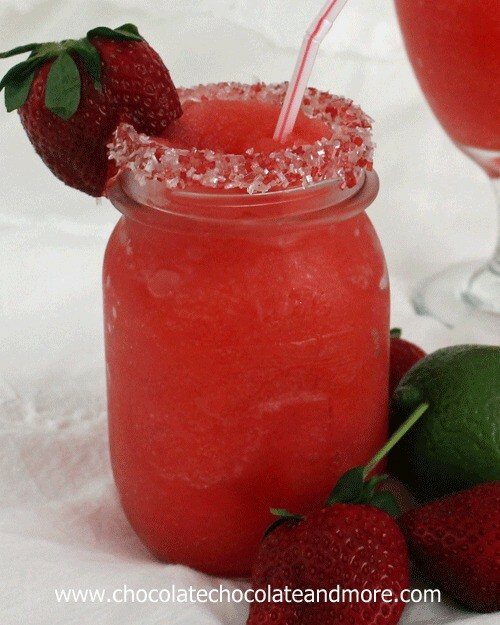 Love margaritas – especially fruity ones!!! I made a version this weekend, so good! Great roundup! The drinks look great, too. I can’t wait for strawberry season! Cute idea! Great for this summer by the pool. Thanks for sharing!